Sign up today to get in on the FUN! PGA Junior League is a game-changing opportunity for boys and girls to learn and play golf. It brings family and friends together around fun, team golf experiences with expert coaching from Langdon Farms PGA Professionals. 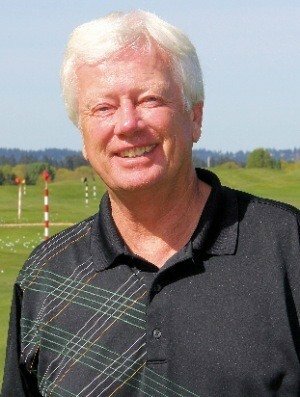 Our team Captain is Bruce Furman, PGA Director of Instruction. PGA Junior League is open to any child 13 & under. The recommended minimum age is 9. For 13u programs, a player cannot be 14 years of age prior to August 1 (which coincides with the end of the regular season) of the year in which he or she participates. For example, for the 2018 season, no participant who turns 14 before August 1, 2018 will be eligible to participate. PGA Junior League is open to both boys and girls. Due to the program’s nurturing scramble format, all teammates can work together and contribute to winning their game, regardless of gender. Boys and girls of similar ability play and compete together in any match pairing (boy-and-girl, girl-and-girl, boy-and-boy). There are no separate divisions or tee boxes and yardages to play from. Golf is a game for all. We are committed to providing an inclusive environment for all individuals who are interested in playing the game of golf. Players of all abilities are welcome. PGA Junor League is all about the recreational and developmental nature of regular season matches, held between April 1 and July 31. At its core, PGA Junior League is a group of local golf teams who play a series of games against each other, utilizing a nurturing and social scramble format. The program is available to boys and girls of all skill levels. Bruce Furman will serve as Captain of our team and is responsible for creating a welcoming environment for all that encourages skill and character development. Registration for our team is taking place until April 1st. Depending on the final number of teams in our local league, regular season games will take place between April and July. Captain, Bruce Furman, will communicate the schedule once the 12-player team is finalized. For those players that advance to the Post-Season of PGA Junior League, those games begin in August. A league is made up of local teams within our geographic area, minimizing the distance and amount of time spent commuting between games. A league will have between four to seven teams and will consist of teams from a collection of facilities. During the course of the regular season, our team will play a game against each team in our league. A scramble is a popular format that encourages teamwork and problem solving. Its nurturing nature creates a fun environment where the negative effect of performance errors is minimized. Each player will tee off at the beginning of each hole. The team then selects their best shot of the two and then each player plays again from the spot of the selected shot. They repeat this process until the ball is in the hole. The team with the lowest score wins the hole. Flags are 3-hole segments of each match. Since each match is played over the course of 9 holes, there are three flags per match. Whichever team wins the most holes within each flag (i.e. 3 holes-to-0 or 2 holes-to-1 hole), wins the corresponding flag. Each flag won by the team is worth one point. Each tied flag won by the team is worth a half point. The team with the most points at the end of the game wins. Since there are four matches in each game, and each match is played for a maximum of three points, there are a maximum of 12 points total in each game. Our PGA Junior League team is Captained by a PGA Director of Instruction, Bruce Furman! He is uniquely positioned to create an inviting and welcoming environment for all to enjoy the game of golf. He will also provide critical instruction to help our young participants advance both their golf skill and character development – on and off course. Our team will be a collection of eight to twelve players, boys and girls of any ability, who work together during the course of a game against another team. Along with the Captain Furman, our team may have the administrative assistance of a parent volunteer/coach to assist in the administration of team business. That will be determined once our team is final. Due to PGA Junior League Golf’s recreational nature, every player on the team is encouraged to participate. While each match is only actively played by two players from each team at any given time, the team Captain may substitute a player into the match at the start of any flag. 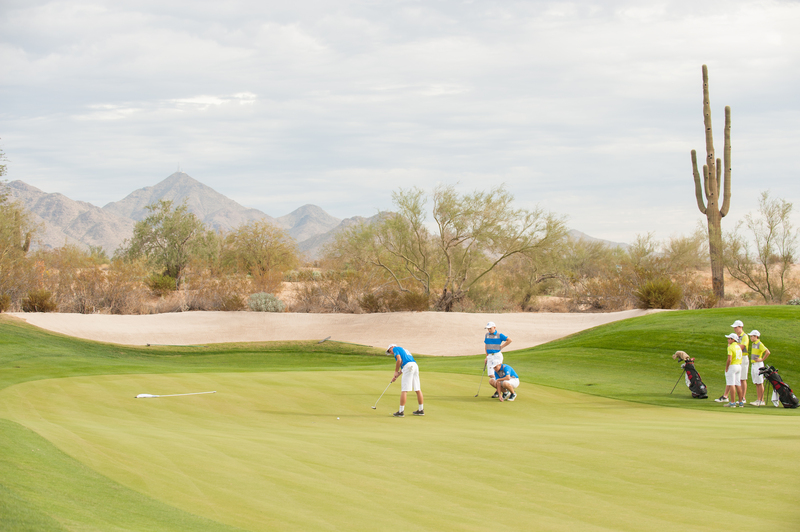 When the player is not one of the two active players in his or her team’s match, they can still play an integral role in the success of their team by reading putts, discussing strategy, tending the flag stick and aiding pace-of-play. At no time should a substitute ever feel left out of the team’s efforts!